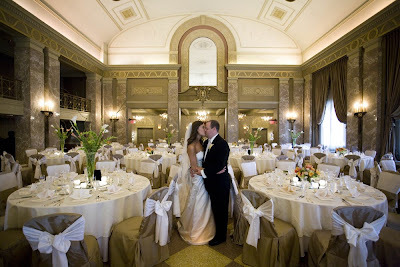 When everything comes together, a wedding can be just beautiful. 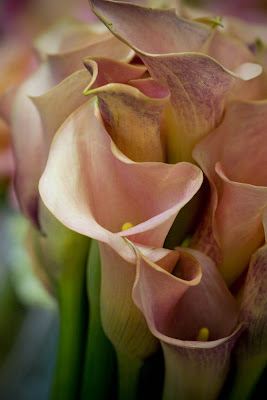 Emily Reed’s wedding, on June 21, is a wonderful example. Brightly colored dresses and flowers, and the Coronado Ballroom all played their part in helping the bride’s vision become reality. All of these gorgeous shots were taken by Lace. 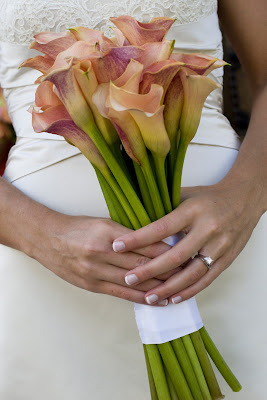 Emily carried a clutch of mango mini calla lilies, to match her bridesmaids’ colors. 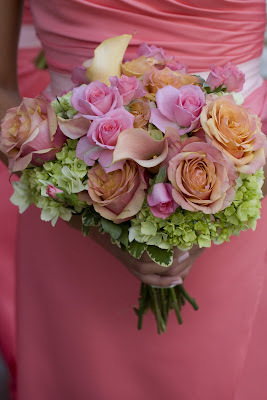 The bridesmaids carried mango callas, cherry brandy roses, coral spray roses, and green hydrangea as a splash of complementary color. 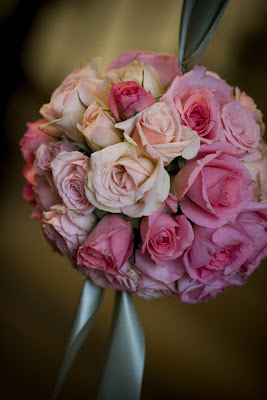 The flower girl’s pink spray rose kissing ball. 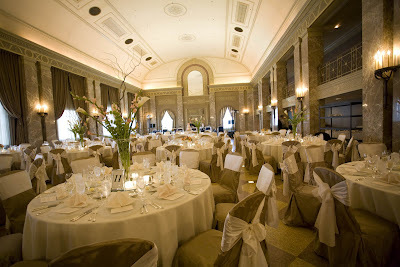 The reception was held at the Coronado Ballroom. 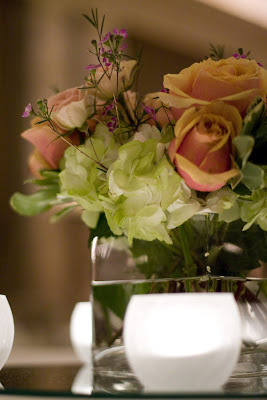 The centerpieces were a combination of high and low arrangements to help add even more show to the room. 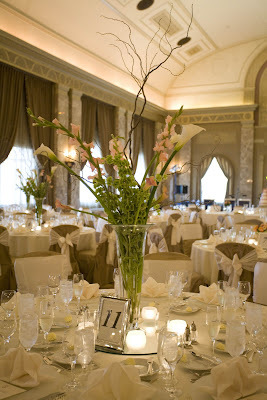 The taller centerpieces were tall trumpet vases with white and mango callas, bells of Ireland, coral glads, and curly willow. 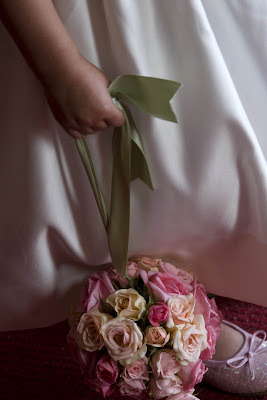 The short arrangements were in a cube vase and included green hydrangea, cherry brandy roses, coral spray roses, and waxflower. Best wishes to Emily and Joe! It was a pleasure working with you!